An Tóchar GAA Club is committed to creating and maintaining the safest possible environment for all young people who wish to participate in our Gaelic Games and activities. We will take all practicable steps to protect them from discernable forms of abuse, from harm, discrimination or degrading treatment and shall respect their rights, wishes and feelings. Appointing a Children’s Officer(contact details below) who will liaise with the statutory authorities as appropriate. Liaising with the GAA National Children’s Officer to oversee the implementation of good child protection and welfare practices within our club. Liaising with the National Designated Person to assist in the processing of child protection and welfare matters. An Tóchar GAA Club has published its Codes of Behaviour for Players, Coaches & Parents. All our members are asked to be fully aware of the contents of these codes & to conduct themselves in an appropriate manner. The G.A.A. 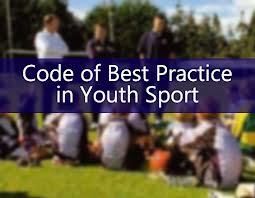 and its sister organisations have published ‘Our Games – Our Code’, the joint Code of Best Practice in Youth Sport. This Code has been agreed between the GAA, the Ladies Gaelic Football Association, the Camogie Association, GAA Handball Ireland and the Rounders Council of Ireland. or in Disc format (not printed) form the National Children’s Office. For more information, please contact Frances Gaskin 087 265 9004) or the GAA National Children’s Officer, Gearóid Ó Maoilmhichíl at 01-8363222 or nationalchildrensofficer@gaa.ie.